Are you planning to move to the Czech Republic? Are you afraid that you won’t manage to learn the difficult Czech language? Don’t worry, we have prepared for you some important advice about learning the Czech language for foreigners and also useful tips for the Czech language exam. I just want to learn the Czech language, why should I be interested in the Czech language exam for foreigners? The Czech language exam is one of the requirements for obtaining permanent residence for citizens of third states. It is also one of the requirements for obtaining the Czech citizenship but the exam for a Czech citizenship is different from the exam for a permanent residence. It contains parts from history and requires perfect language skills. If you stay in the Czech Republic, you have to pass through these exams. If you fulfill the condition of continuous five years residence in the Czech Republic, then you can apply for the permanent residence. One of the important documents which you have to submit with an application for the permanent residence is the proof of knowledge of the Czech language. 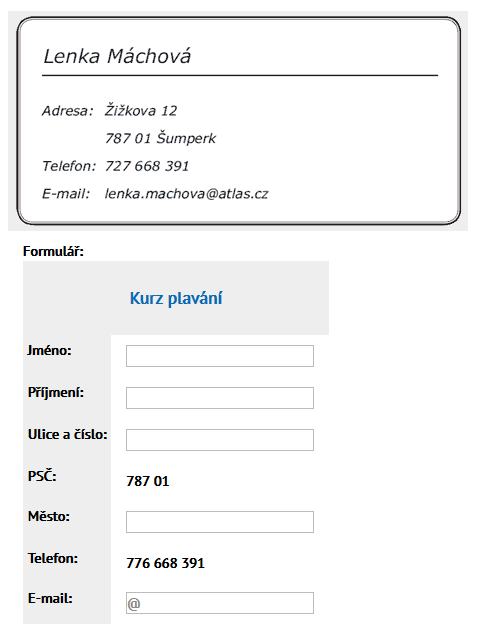 How can I submit proof of knowledge of Czech language? You can prove this with either a Certificate Proving the Knowledge of the Czech Language or passing another generally recognized examination in the Czech language. Another generally recognized examination is a special examination in a language school which has the right to provide state language examinations and certified examinations from Czech for foreigners. These examinations are organized at the Institute for Language and Professional Preparation of Charles University. Has to be knowledge of the Czech language always proved? If you had studied at least one year in the elementary school or high school or you had studied university branch orientated on the Czech language. People who have physical or mental disability, which have influence on their communication skills. I am a citizen of the European Union, do I have to prove knowledge of the Czech language? If you are citizen of the European Union you are not obliged to prove your Czech language skills. It is meant that you don’t need to pass the Czech language examination. This is also included for these states: Norway, Iceland, Liechtenstein, and Switzerland. Where can I perform the examination from the Czech language? The list of the places where can you perform examination can be found here. How much cost the examination from the Czech language? In case that you don’t pass the exam, you will have to pay 1500,- Kč for another attempt. The examination consists of four parts – reading, writing, listening and speaking. On every part you have limited time. Overall exam lasts one hour and thirty minutes. What can I imagine under each part of the exam? Modal questions can be found here. Now, we briefly look through the basic structure of questions. The usual task for the writing part is to fill various forms in the Czech language. The purpose of these tasks is to simulate a real situation, when you will need to tackle with form filling or giving data. During the preparation for the speaking part you should concentrate on the pronunciation and expression of your ideas. A sample of the speaking part can be found here. For the best preparation for the listening part exercise a modal test listening, which you can find here. Another actually more passive method of how to improve yourself in listening is to listen the Czech radio or television. You don’t need to understand everything, but it is important to get used to speak how native speakers speak. How much points do I have to obtain to pass the exam? Each part of the exam is rated with twenty points. An applicant has to obtain at least twelve points from each part. In case that you obtain from one part of the exam less than 12 points you have to repeat all the examination. What is the level of examination regarding to Common European Framework of Reference for Languages? The examination has level A1. It is the necessary basis for everybody who wants to stay in the Czech Republic for longer-time. People with this level of language should be able to understand expressions which are connected with him and also should know basic phrases and salutations. This grade of language takes approximately 160 hours of studying. Preparation for the exam is not always boring and difficult if you find a good teacher or language school. Czech language is among the most difficult European languages and this is why we strongly recommend you to find some native speaker with whom you could practice pronunciation and your speaking skills. It is also widely known that the Czech Republic is full of small pubs and taverns where you surely will be able to meet the natives and to communicate in the Czech language. Natives like to teach foreigners their language, but be careful that they do not teach you only vulgarisms. Interactive-model exam of the year 2016 can be tried here for free. We also recommend you to carefully read the manual “Prepare with us for the Czech language exams for the permanent residence” which is issued by the state organization for education. For the further studying of Czech language it is good to obtain the Czech grammar book which can be found in every bookstore. The grammar book contains all grammar rules from the elementary school and high school. From our own experience we can recommend these titles: Basic grammar book of the Czech language- Vlastimil Styblík or Czech language in epitome – Pavel Kantorek.